Here is a cake I am VERY excited to share with you all! 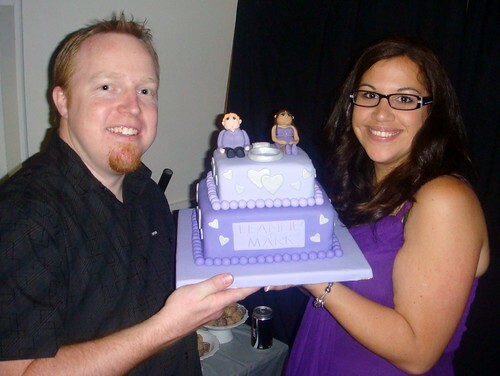 This cake was very special to me and hubby because it was made for Hubby's best friend! Mark and Leanne are our very close friends and they recently got engaged (YAY!) 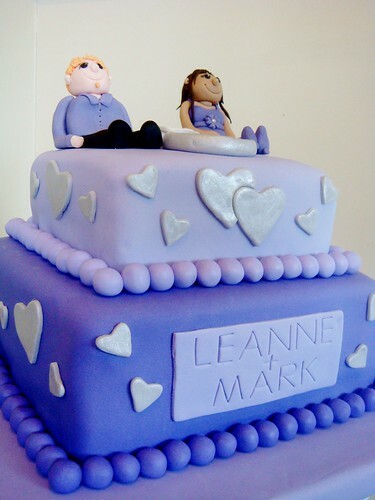 They had a fabulous engagement party and I got to make their cake! The theme of the party was purple and silver (can you tell) and lots of people dressed accordingly. Check out the funny photos taken on the night. 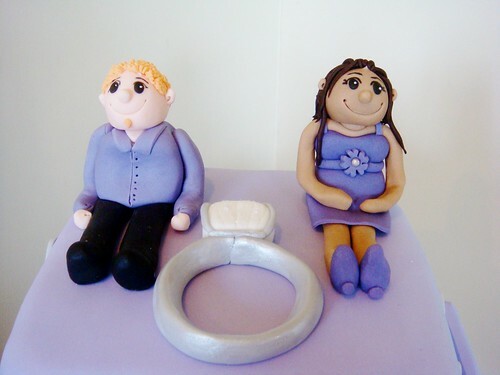 They hired a photo booth which was TONNES of fun and we even took the cake in their for some photos too! 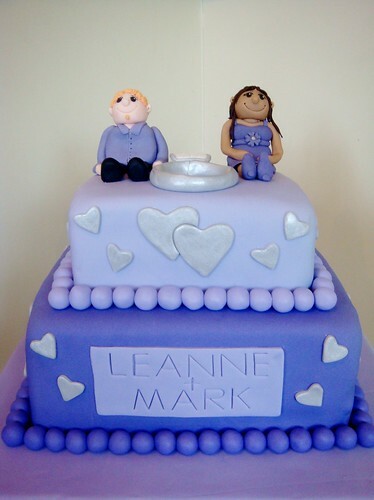 As a side note, for some reason the colour purple doesn't photograph so well (happened at my wedding too) so you'll just have to imagine that the cake is actually a nice shade of bright purple, not bluey purple like how it looks in the photos! 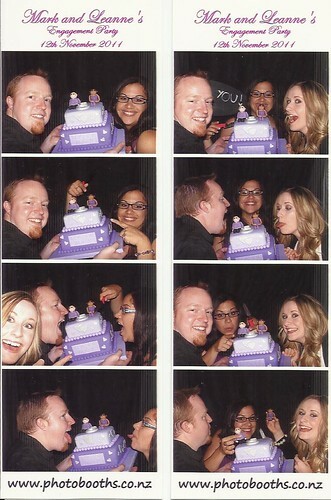 Mark, Leanne and I in the Photo Booth with the Cake!